There’s a major challenge for Pixar as they near the end of a second decade making features. How can they top the past achievements? Beginning with Toy Story in 1995 and carrying through 13 films, there were few missteps from the animation studio. The closest thing to a misfire was Cars 2, which earned a lukewarm response two years ago. Even so, it’s hardly a complete embarrassment and shows that the creative gears are still cranking. 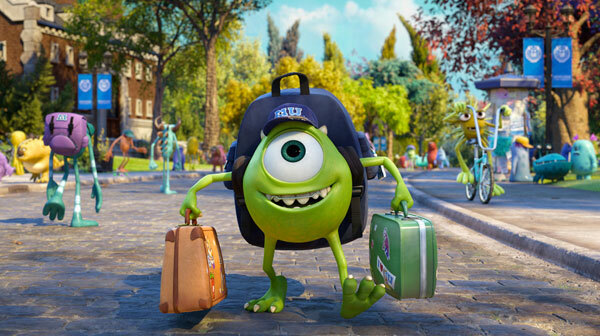 This brings us to Monsters University, the first attempt at a prequel and the fourth extension of a previous film. Its predecessor was well-liked, though it doesn’t rank among most viewers’ favorites. Warning signs appeared that perhaps the thriving company was sputtering. Thankfully, any rumors of Pixar’s demise seem unfounded. It’s hardly a novel story, but there’s still plenty to enjoy with this return to the world of Mike and Sulley. Our story begins with a young Mike Wazowski (Noah Johnston) taking a field trip that inspires his obsessive goal to become a “Scarer”. We jump forward to college, where the idealistic new student (now Billy Crystal) arrives at Monsters University read to make his dreams come true. He quickly discovers that all the studying in the world might not be enough. It’s similar to when a basketball player realizes he can’t play in the NBA. His adversary and eventual partner in crime is James P. “Sulley” Sullivan (John Goodman), who comes from a prominent family yet lacks the dedication of his diminutive counterpart. They become the outsiders at the school and must compete in the Scare Games to regain their position. There’s a feeling of inevitability with most prequels, and that sense exists here. We know that Mike and Sulley will eventually become friends, so the conflicts lack much punch. Even so, this story doesn’t fall prey to the mistake of constantly referencing the original. There are small touches and appearances from recognizable characters like Roz (Bob Peterson), but they don’t overtake this new tale. Despite following the expected path, there’s enough life to these characters to make a second film worthwhile. One of the reasons that Pixar’s movies work for adults is the clever references to other films that fly over the heads of youngsters. A good example is Toy Story 3’s escape plan, which came right out of prison break movies like The Great Escape. This film is paying homage to '80s comedies like Revenge of the Nerds and Animal House. The outsiders take on the arrogant jocks and find a way to succeed against all odds. Mike and Sulley join the Oozma Kappa fraternity, monsters that seem least likely to succeed at any physical competition. While these connections are pretty obvious, there’s warmth towards those silly films that’s hard to dislike. There’s also plenty in common with the first Harry Potter film, particularly in the classroom scenes during the first act. 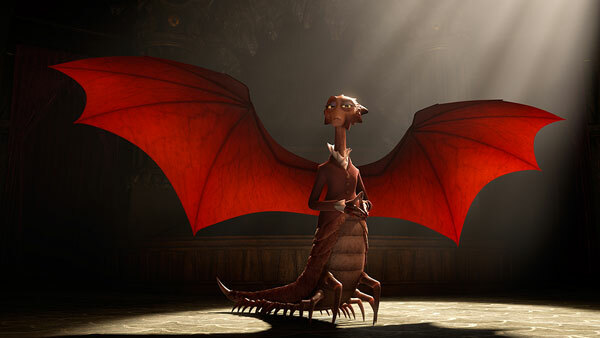 Helen Mirren’s imposing Dean Hardscrabble feels right out of that universe and echoes Alan Rickman’s role as Snape in particular. 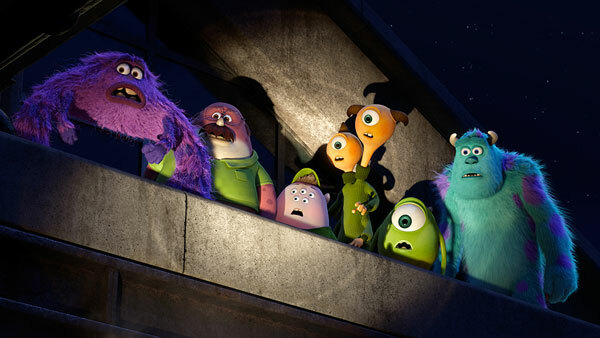 When Mike and Sulley show unexpected abilities during the climax, it feels strangely connected to Harry’s successes. These are common devices and hardly unique to either film. This makes for a pleasant experience, but it isn't groundbreaking material. Despite the standard plotting, Monsters University succeeds because Billy Crystal and John Goodman are so damn likable. Even when Mike acts like a tyrant with their team, Crystal makes his mania understandable. He can feel the dream slipping away, and he’s doing everything he can to fight that impending doom. Goodman excels at playing the laid-back guy who acts like he doesn’t care but has heart beneath the slacker demeanor. Each actor is just the right choice for the character, and they bring believable emotions to even the predictable moments. It’s a bit strange to see them butting heads when we’ve already seen them as friends. Still, that’s expected with any type of prequel. The jocks are led by Johnny Worthington, voiced with the right amount of fake kindness by Nathan Fillion. It’s clear that this guy’s bad news from the start, yet there’s just enough charm to draw in the misfits. His true colors shine in a party humiliation that makes his villainy extremely clear. Fillion is channeling Captain Hammer from Dr. Horrible’s Sing-Along Blog to play the Big Bad. He’s so certain of his victory that he doesn’t recognize the danger from the least likely opponents. The film’s best scene has Mike cleverly using horror genre standards to induce a major scare. A door slams, a record player mysteriously plays, and a creepy doll walks across the floor. In a sense, he’s doing exactly what Pixar has accomplished so many times. The material is familiar, yet it’s packaged differently and isn't tired. It takes serious talent to continually surprise cynical modern audiences and make them care about characters in animated films. Even when they don’t hit a home run, they deliver entertainment for viewers from a wide spectrum of ages and backgrounds. Monsters University doesn’t change the game, but it provides solid entertainment. 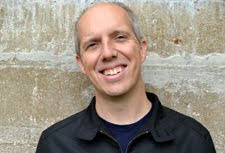 This is Director Dan Scanlon’s first time leading a feature, and he keeps the studio’s momentum in place. They’ll return next year with The Good Dinosaur, which isn’t tied to an existing franchise. Given their track record, it will almost certainly become a critical and box-office success. Despite a slight drop-off in recent years, Pixar is showing no signs of becoming just another production house. Nicely done Dan. I was a little worried about this as Pixar seem to be churning out the sequels now and I love the original but I'm really glad it's a worthy follow up. Thanks Chris. I think it's worth checking out and hardly just a money grab. It doesn't have the same daring creativity of their best work, but it's good fun. Nice review, Dan. As long as Pixar are churning out original material along with the spin-offs and sequels then I'm a happy chappy. Thanks Leith! I agree that the mix is good. I also don't mind the Finding Nemo sequel coming in a few years since I really liked the first one. You're right--it's not a home run. It is a solid double off the wall, though, and sometimes, that's enough. No arguments here as you know from our discussion on your site. Solid job by Pixar, and I'm looking forward to what's next from them.